After the training camp in Zakopane, Paweł went to the homeland of Muay Thai once again, under the supervision of Thai masters, he raises his skills. 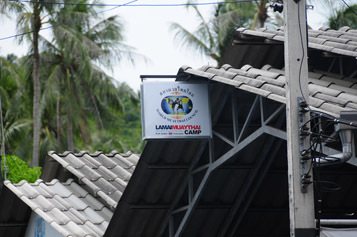 I also visited an old friend from the time when I was training on the island of Koh Samui at WMC Camp. Trainer Gae is a guest of my age and trainings for him is a hell:) He works in Elite Boxing. A powerful shield is a standard but even during the clinch he pulled me off the player and told me to kick 20 times per leg.Klincz I did with Berneung-recently won the title significant WPMF organization … this guy is vice 🙂 He is currently training at the Lamai Muay Thai Camp on Koh Samui. I fought for this gym many times because I come back here with fondness.